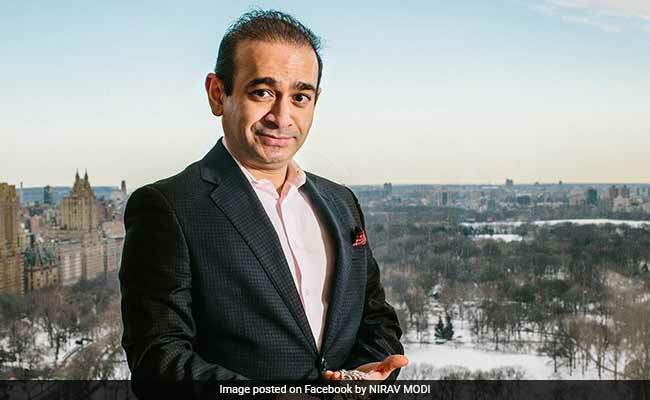 Nirav Modi has been accused in a Rs 280 crore cheating case related to the Punjab National Bank, according to CBI officials. Celebrity jeweler Nirav Modi has been charged by the CBI in a multi crore cheating case, said officials on Monday. Mr Modi has been accused in a Rs. 280 crore cheating case, related to the Punjab National Bank, according to CBI officials. CBI has registered a First Information Report (FIR) for criminal conspiracy and cheating against Nirav Modi, his brother Nishal, wife Ami and Mehul Chinubhai Chowski of Diamond R and Stellar Diamonds, for causing a loss of Rs 280 crore. The FIR also names a bank official, Manoj Hanumat and a retired deputy manager, Gokulnath Shetty for abusing public position. The investigative agency has also filed cases against unknown bank officials for corruption. On January 29, the Deputy General Manager of PNB, Avineesh Nepalia, of Mumbai branch complained to the CBI, saying that some of its officials were causing loss to the bank. The bank claimed in its complaint that two of its officials had issued Letters of Understanding (LoU), without following proper procedure and skipping entries in the banking systems. Eight fraud LoUs amounting to Rs 280 crore were issued for Hong Kong-based banks. The billionaire was raided by Income Tax officials on January 31; his offices in Delhi, Surat and Jaipur were allegedly under I-T department's scanner. Mr Nirav Modi is the founder of $2.3 billion Firestar Diamond and counts among his clients several world renowned celebrities. Firestar in a statement said,"This matter has no affiliation, legal or otherwise with Firestar International Limited, which is the flagship enterprise of Mr. Nirav Modi." Mr Modi has designer jewellery boutiques across three continents - in London, New York, Las Vegas, Hawai, Singapore, Beijing and Macau. In India, Mr Modi has his stores in Mumbai and Delhi.